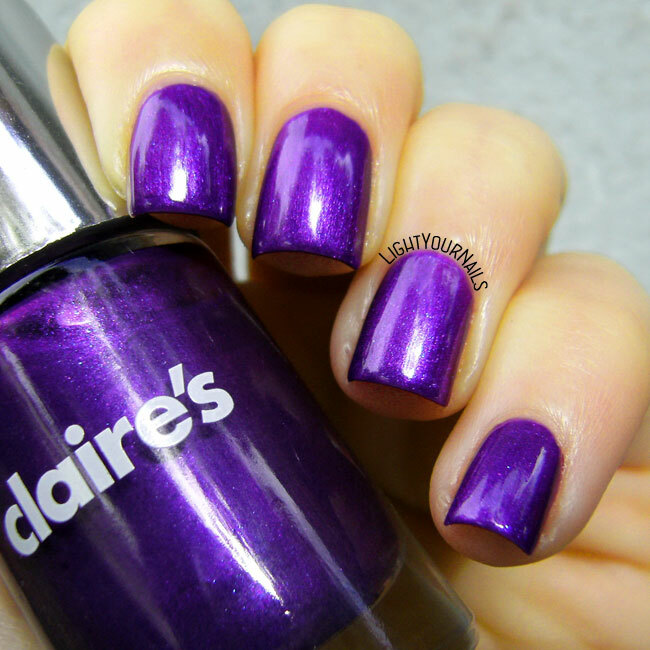 Claire's Metallic Purple | Light Your Nails! It IS really pretty...too bad about the formula. 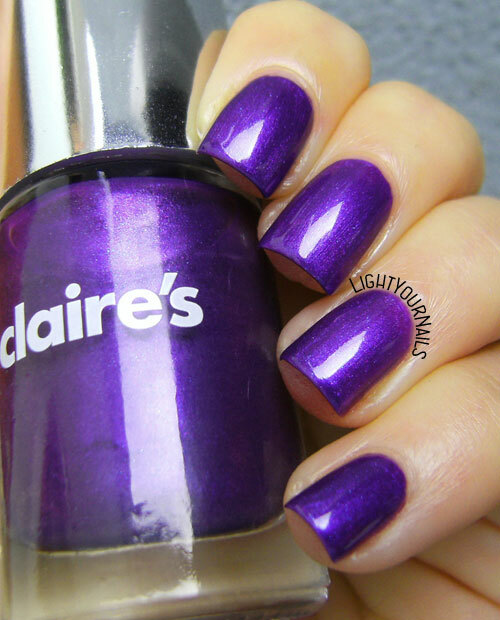 I would have never thought such a beautiful polish would be in Claire's. I'll have to pay more attention next time I'm in there. They actually have some gems every now and then! That's why I always check the store whenever I'm in that area (not too close to my home unfortunately). wow. This purple is ALIVE. 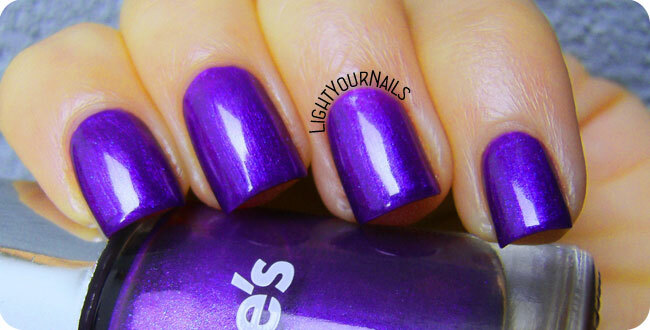 Sinful Colors Let's Talk is close...and a fabulous formula. Claire's stuff is so terribly hit & miss. I have Let's Talk! I need to compare them, thanks for the tip Nichole! I didn't know Claire's were a bit of hit and miss, I have only used a couple of them so far. Wow, that is really pretty! Such a bummer that it chips so easily though! mi ricorda molto un essence...! Too bad it didn't last well, it's a pretty shade! Too bad the quality is so poor indeed, because indeed it is an absolute stunner! So deep and bright and pretty! I must keep an eye out for this... I kinda need it. I know the feeling, been there, done that, haha! 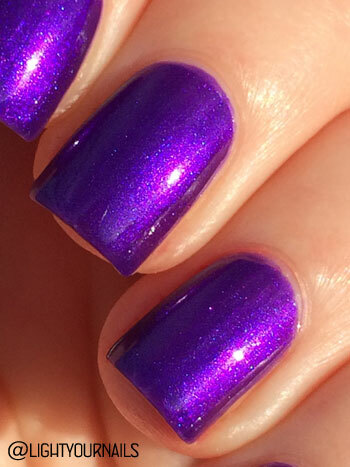 Wow that is a gorgeous purple!